Last week, I was at one of my local nurseries looking for annuals and perennials for my outdoor garden. Even back when I was living in an apartment, and had no outdoor space, I always looked at the summer annuals and tropicals. Among the plants marketed as annuals for "creative" containers, there were always several plants that can make good-to-decent houseplants. Common examples were Asparagus sprengeri and A. meyeri, Begonia 'Dragon Wing,' Hedera helix, Strobilanthes dyeranus, (Persian Shield) and Solenostemon (Coleus.) 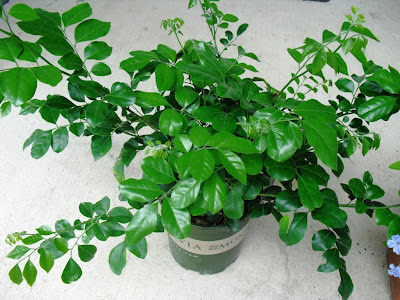 Now, even though I do plenty of outdoor gardening, I always look to the annuals with houseplants in mind. 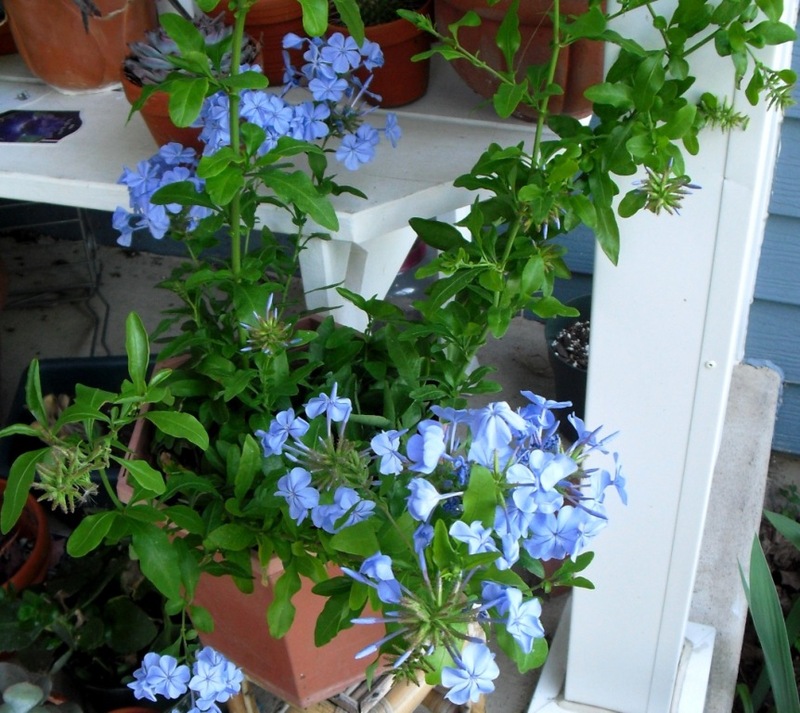 I also treated myself to a Plumbago auriculata. I had originally purchased one in 2003, and kept it for at least five more years, putting it out in summer, and overwintering it in a cool room. After that, it kind of petered out, since P. auriculata really needs both cool temps and lots of sun over the winter. I can only provide one or the other, so the plant loses vigor. I figure five years is a good run for a plant most people buy as an annual and discard, and I love those blue flowers. I hope this one lasts as long. Closer view of those fabulous sky-blue flowers. 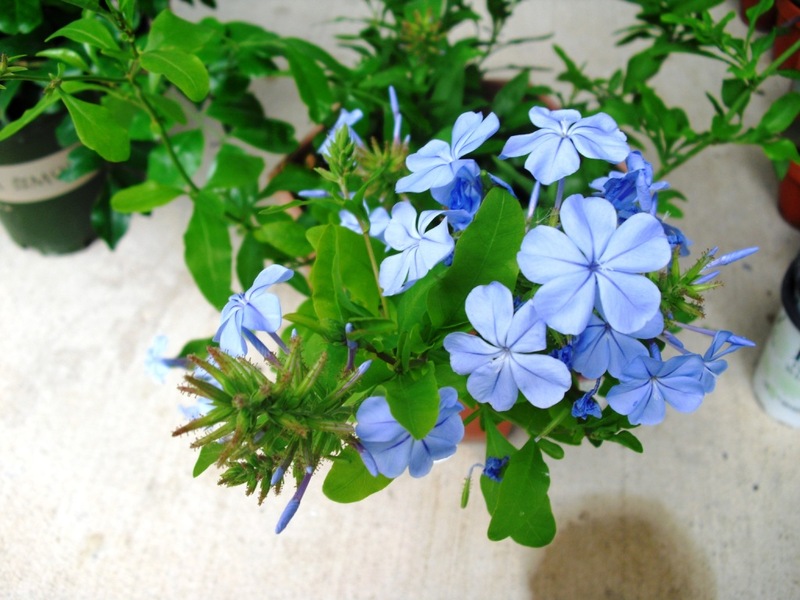 I love Plumbago! They are huge outdoor year-round perennials here in south Florida. I wish you luck with your plan...I think it will work out...and how fun to have it indoors in the winter! !